2013 Fiat Punto- What Is New In Facelifted Fiat Punto New Model? 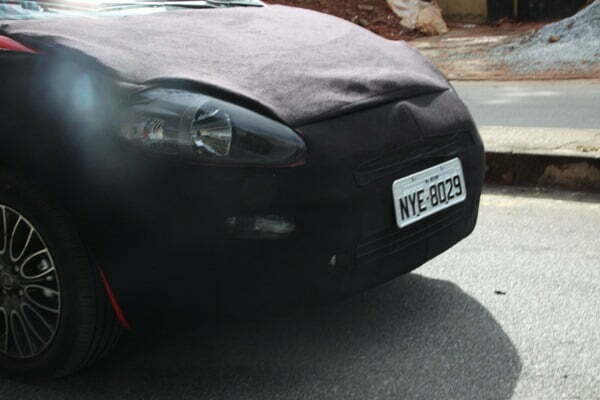 2013 Fiat Punto Spied Testing In Brazil– What Is New? Fiat has recently launched 2013 Fiat Linea in Turkey with new exterior and interior elements which is a evolutionary facelift which makes Linea more attractive than it previous model. 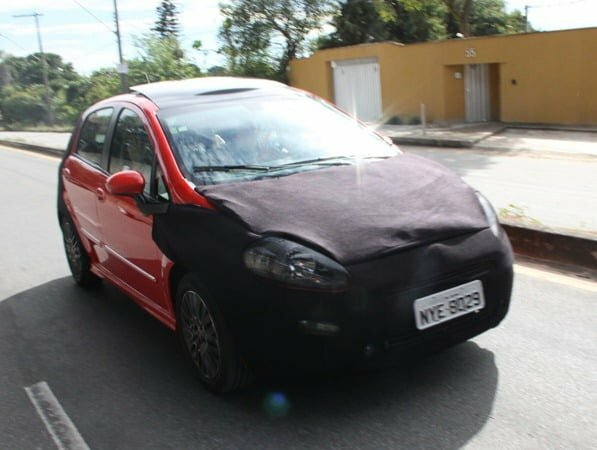 Fiat Grande Punto, another popular small car from Fiat’s stable is pending a facelift which maybe introduces soon as a face lifted test vehicle of 2012 Fiat Punto has been spotted testing in Brazil. 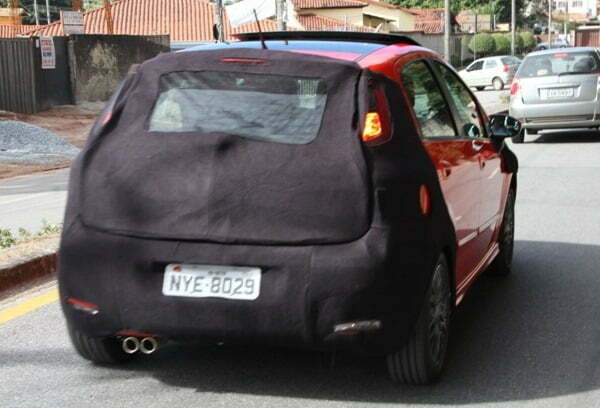 Some of the design elements of the facelifted 2013 Fiat Punto are quite visible from the spy pictures while the other elements are camouflaged behind the black covers on the test car. In this article, we share some of these design elements which we can decipher from these spy pictures. What Is New In 2013 Fiat Punto Facelift New Model? Fiat Punto 2013 new model comes with facelifted front and rear which will be completely new as in the 2013 Fiat linea. The front bumper, grille as well as bonnet will get shaper design elements without loosing on its identity and overall shape which is quite familiar with Fiat car customers and fans. The rear end also gets new bumper, redesign of tail lamps to make them look sleeker and smart. 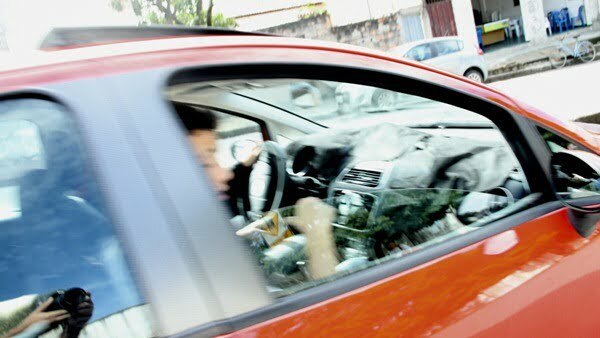 Interestingly, the model which has been spied testing has a lot of sporty elements which are usually not so common in the Punto’s ongoing models like it has quite sporty alloy wheels with twin-exhaust with chrome tips, there is sunroof with what appears to be a panoramic glass roof top of the car. There is also body coloured side mouldings with chrome strips. 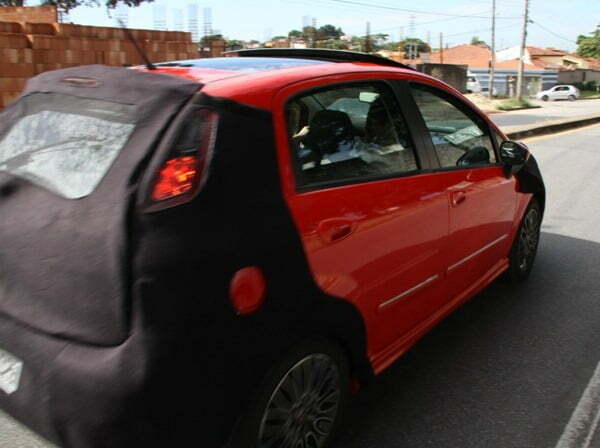 The tail lamp look like one with LED lamps and the overall appearance of the 2013 Fiat Punto seems quite sporty. Peeping into the cabin of the 2013 Punto from the side it appears to have more chrome and upmarket finish on the central console, instrument console and the audio system. The aesthetics on the interiors have been improve with better finished plastics, chrome rings around the round side AC vents and chrome garnish on the rectangular AC vents which are located above the new glossy central console. You can bookmark this page and come back again to check for any updates and better pictures, we will keep this section updated with more information as it arrives. Stay tuned to Car Blog India. 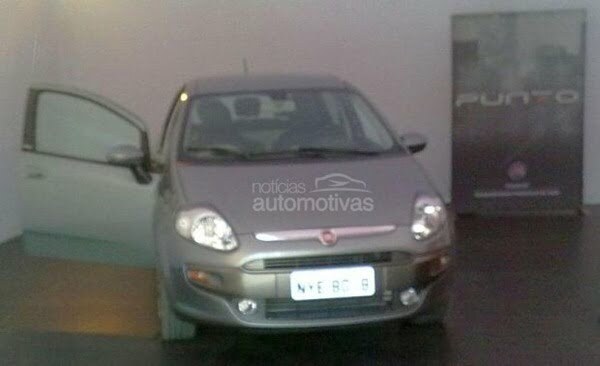 Fiat Punto 2013 new model has been spied again, this time a picture has been shared without any camouflage which looks like parked inside some dealership premise in Brazil. The new 2013 Punto is inspired by Fiat Punto Evo which never made its way into Indian markets. It has a horizontal chrome strip above the grille and redesigned front bumper with improved styling and difference in the placement of fog lamps which are more towards the inside now. The new model will be launched in Brazil in July 2012 and is expected to make it to Indian later in 2012 or early 2013.